HomeBlogFashion & StyleHigh-Tech Jewelry by Absolute Titanium Design. 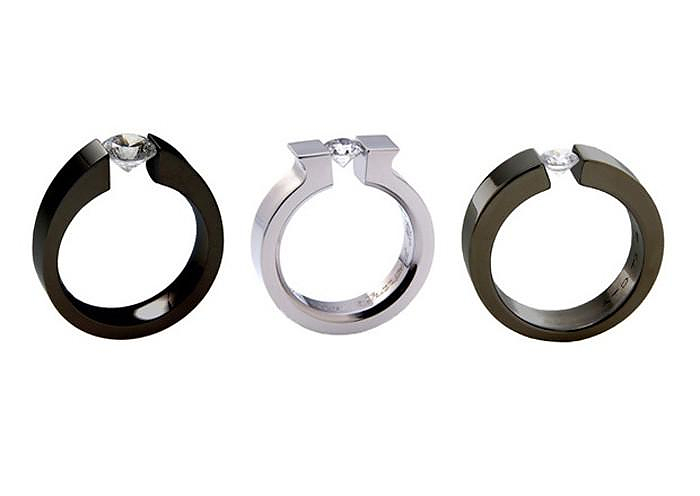 Absolute Titanium Design specializes in a very special kind of jewelry, those made of Hi-Tech, rather than precious metals. Instead of choosing metals based on their market value, Absolute Titanium Design selects materials because of their physical properties. 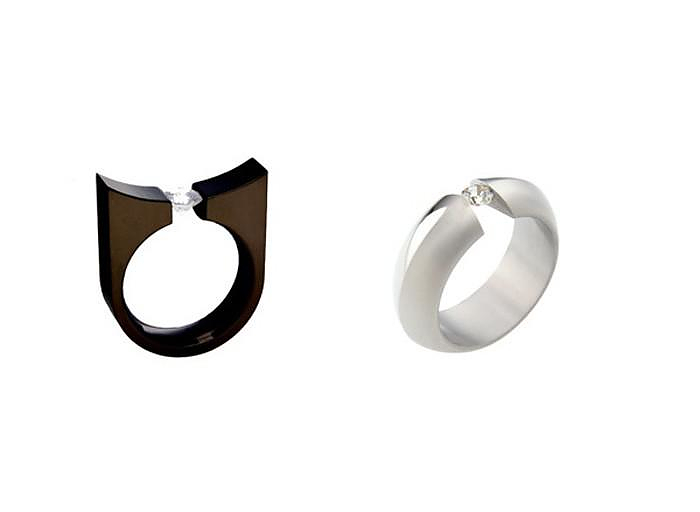 Absolute Titanium’s line of titanium diamond rings offers you unique jewelry designs of breathtaking beauty and simplicity, all made possible through the use of technology. 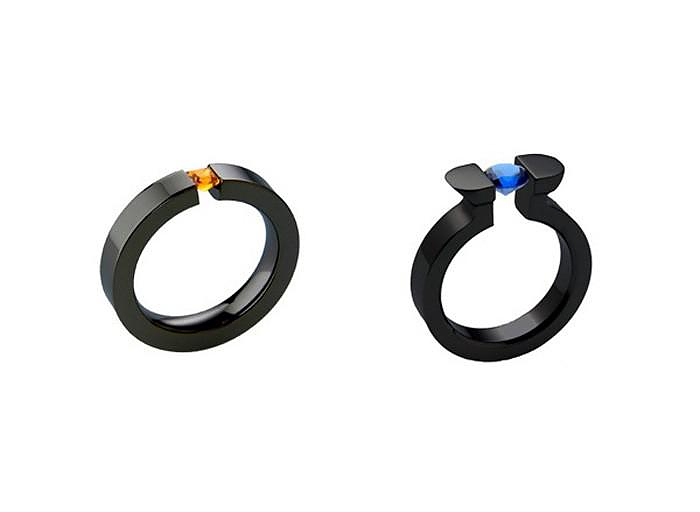 Take for example their titanium and zirconium rings. Both are metals hypo allergic and have extremely low toxicity. It is no coincidence that they are widely used in medical applications, such as implants and dentures. This makes them ideal for people who have allergies to metal, since they are most appropriate alloys for skin contact. In terms of individual characteristics, titanium alloys are known for their corrosion resistance and they have the highest strength-to-weight ratio of any metal. Zirconium on the other hand is refractory and hard and has excellent resistance to corrosion. 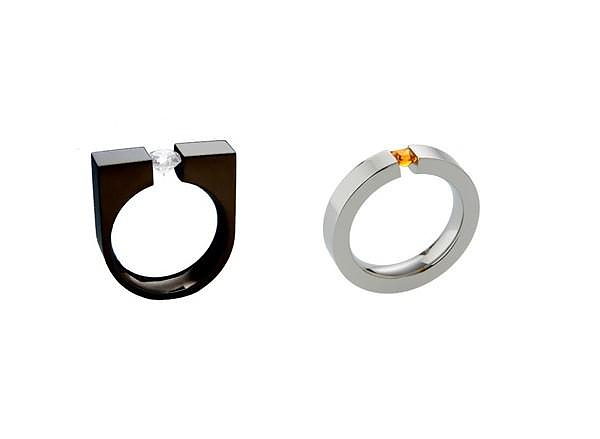 Absolute Titanium Design uses the properties of these sophisticated materials to create designs that are impossible to make with soft metals such as gold. Absolute Titanium’s line of tension-set diamond rings holds the precious stone on the ring without any kind of “binding”. 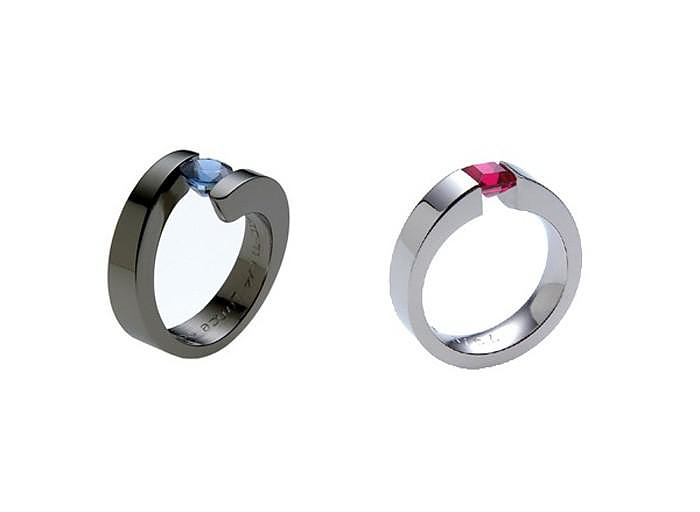 The stone is pressure held at its girdle within a gap created at the two pressing ends of a ring. The result is a stunning visual and aesthetic effect which exposes much of the precious stone to the eye, and renders it to appear to almost hover in midair. 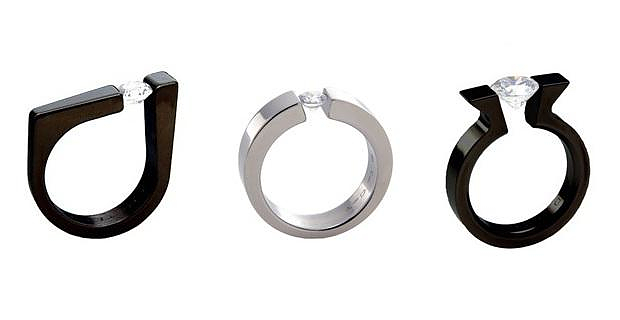 Each of those unique titanium rings represents a feat of engineering, an accomplishment in design, and a victory for advanced metallurgy as applied in jewelry. 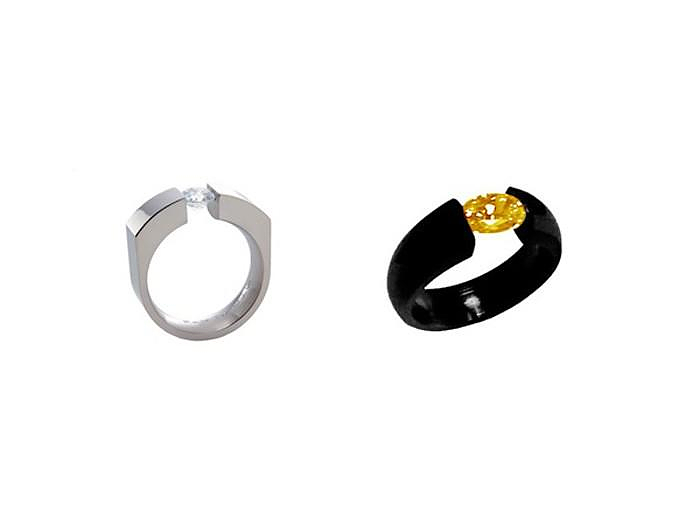 The use of such advanced materials in jewelry making has many practical advantages. First of all, they have enormous resistance to any kind of stress, such as a scratches or chemical corrosion, from seawater for example. Secondly, they are extremely lightweight. Thirdly, they are completely neutral to the human body and will not create any irritation of the skin. Finally, due to their extreme hardness it is possible to create elegant designs can that would be impossible to create with other metals.